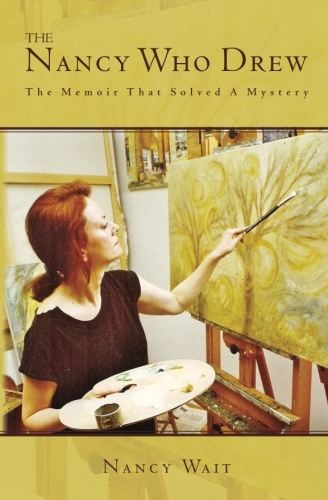 I subtitled my memoir, The Nancy Who Drew, “The Memoir That Solved A Mystery,” because that’s exactly what happened. Through the writing and the telling of the stories and experiences I remembered and could explain, I recalled an event I could not explain. A minor episode that seemed unconnected to everything else. It had been an intriguing event, but it stuck out like a sore thumb. I decided the best tactic would be that of omission. How crazy that this bit I deleted would later turn out to be the incredible revelation my finished manuscript would pivot on! My life, in fact, would pivot on. Or my past life, I should say. But of course I didn’t know any of that then. This was the tidbit: I was twenty, living in London, and my boyfriend took me to the British Spiritualist Society located in Belgrave Square at the time. I had no interest in mediums and psychics in those days, and was just going along to please him. He had booked me a private session with a medium called Nan Whittle, who gave me the startling news that the actor Leslie Howard was “looking after me.” I couldn’t fathom why this would be. Nan Whittle didn’t offer further details, and I was too dumbfounded to think of any questions. Leslie Howard had been dead many years, but he had been a famous actor. I was a nobody. The only thing I had in common with him was my hoped-for profession, as I was studying to be an actress too. Perhaps he enjoyed looking after actresses from the other side? Decades passed without any further enlightenment. By the time I began writing memoir I was almost fifty. The idea of Leslie Howard having anything to do with me seemed as absurd as it had thirty years earlier. It was an interesting story, but it didn’t fit in with the narrative I was telling. Not in any way, shape or form. Or so I thought. When we start the uncovering process, we can’t help revealing ourselves. In the revealing comes the revelations. Joan Didion is quoted as saying, “I don’t know what I think until I write it down.” I’m totally with her on that. And finally, Dear Reader of this blog, if you know of another memoir where a mystery is uncovered or solved or even admitted to—please let me know. Thank you! This entry was posted in Memoir and tagged autobiography, British Spiritualist Society, Know Thyself, Leslie Howard, memoir, mysteries, Nan Whittle, Nancy Wait, soul memories, The Memoir That Solved A Mystery, the nancy who drew, writing. Bookmark the permalink. This is all very exciting. I hope that volume II is proceeding well, Nancy, so that we can learn more about this intriguing mystery. No, I didn’t know that. I’ll have to look it up! How fascinating! 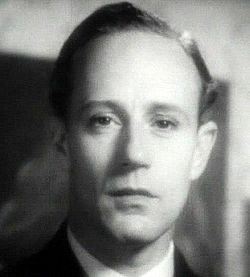 One of Leslie Howard’s favourite characters was Peter Standish in “Berkeley Square”, the man who travels back to the 18th century to meet his ancestors. Do you know that film? Peter and Helen share a statuette: it is a crux ansata… the symbol of eternal life.